BFF edition #101 – What’s in my bag? Hola readers!! I’m sure those who have subscribed to my blog had rec’d an email notification about a new blog post!! … But the page wasn’t loading!! Hahaha.. Fred not! That’s because I had removed the post.. Or rather had saved it as draft instead (after I posted it..)! And now u’re reading it again!! 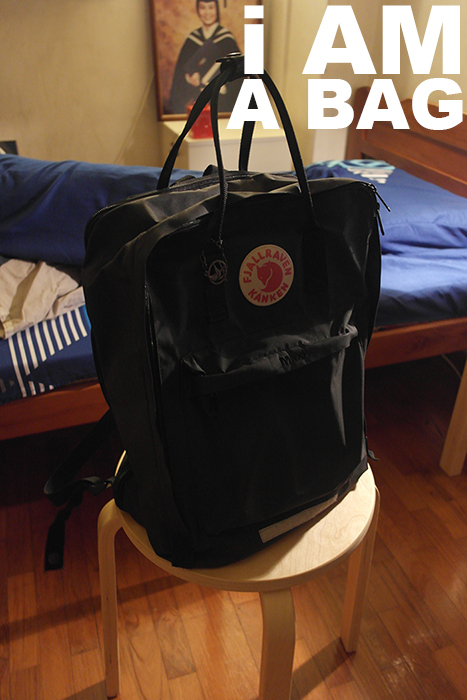 Without further ado.. Let’s check out Stu’s bag..
HELLO everyone~ Here’s a 友情客串 post to share what’s in my bag! To express my sincerely, I will be showing 100% of the actual content from my bag! Just keep scrolling peeps! 1) Pardon on the chaos bg as it was almost my bed time when I took this picture. This is my daily backpack that I carry to work, to meet clients, to meet supplier, to meet contractors etc… Definitely not professional looking but hey! Let me introduce this Maxi Kånken of mine. It comes with an expandable extra compartment that allows me to stuff all my ridiculous nonsense in a bag. Ms Kånken has been with me for more than a year and I m still loving it! 2) Before diving ‘into’ my bag, let’s take a look on what’s hanging on the outside! TA-DAH! One Mocking Bird! 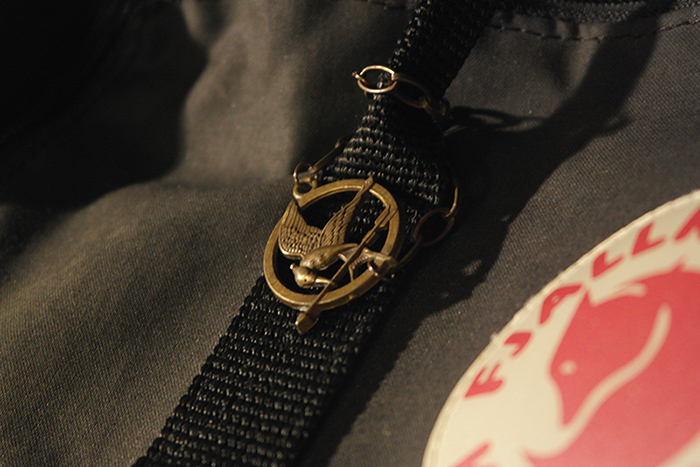 My favourite symbol ever since I watch Hunger Games! This is a bracelet but I use it as a key chain on my bag to differentiate mine and my girl’s bag as I have gotten the same bag for her. Third installment is on it’s way! Can’t waitttttt for November to be here! 3) Name card holder – Another boring but essential item that I have to carry around when I meet new people. A very simple and generic design. 4) And yes, a wallet of course. But why long wallet?? So uncool! Yes I admit, I am trying to carry as many cards as I can when I am out. Be it CC, NIRC, Membership cards, Cash Card…. 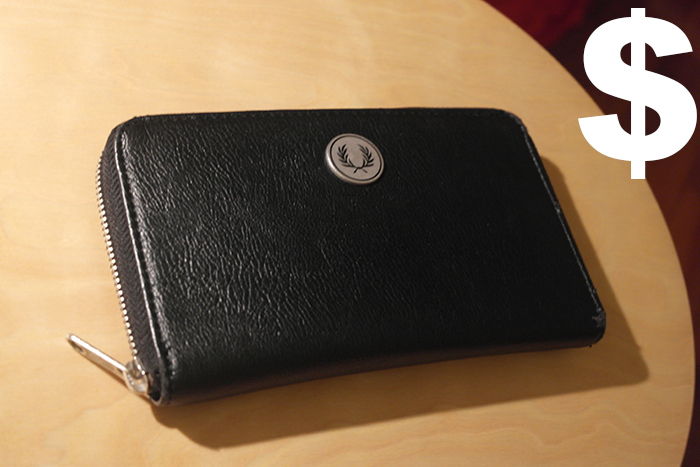 The definition of a practical and good wallet to me is to have plenty of card slots with a zip compartment. So this is definitely a 100/100 wallet design for me. 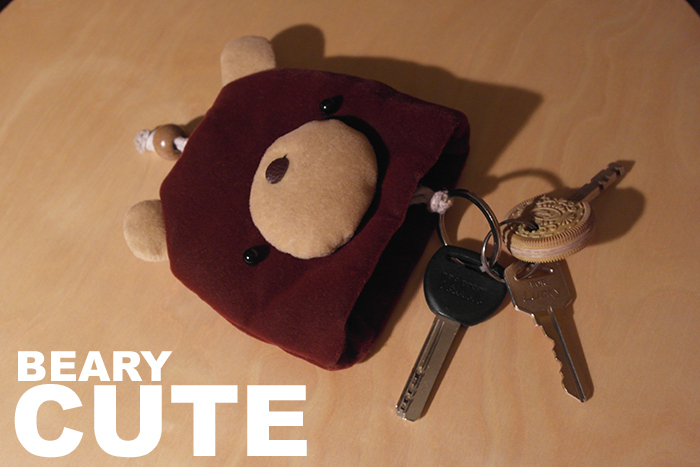 5) Key Pouch – With a simple pull, that bunch of keys will get to rest inside the beary soft cushion. This is to prevent my keys from leaving scratches onto other items in my bag. Another good designed product. 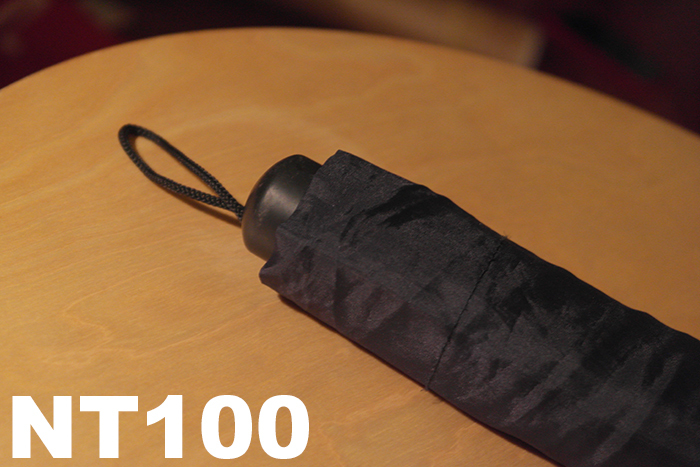 6) Bought from TW, this umbrella can only shelter me from rain and not sun. No UV protection but I still adore this because of the size. Slim and sleek. Nuff said. 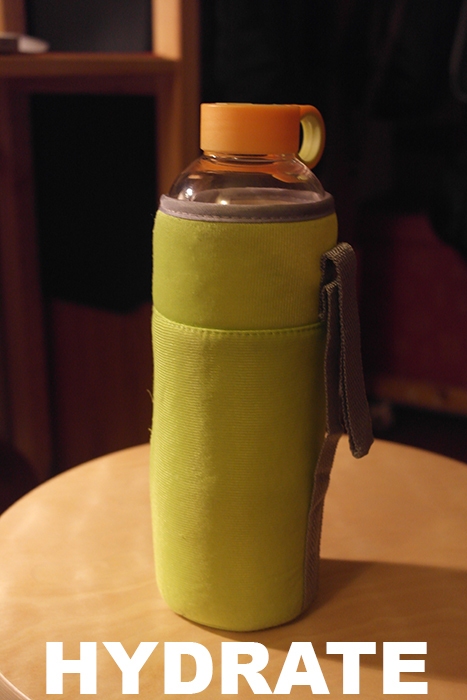 7) Just another water bottle with clothes on. I don’t consume soft drinks, so I will always carry my gigantic water bottle everywhere I go. 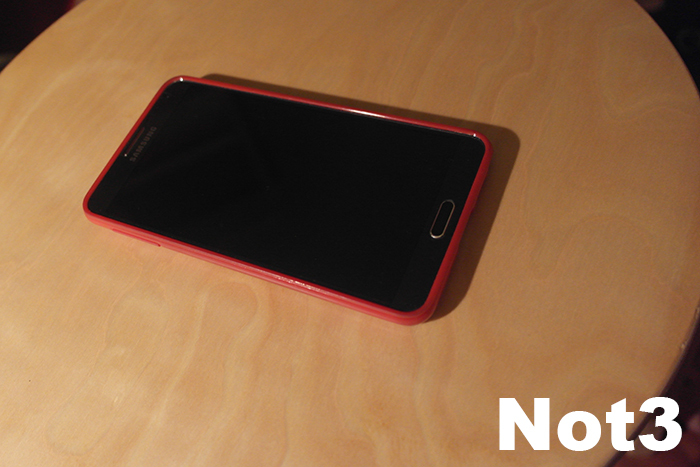 8) Mobile Phone – Yawn. Yea I know, who doesn’t. 9) Oh this is the most interesting one (I think). I carry them with me wherever I go, be it work, travel, shopping, dating. Every single one of them can save life when you are in need. Imagine when you feel something tickling inside your ear and you have that ultimate digger to further explore the darkness where your pinky can’t reach…..OOOOOHHHHHH. 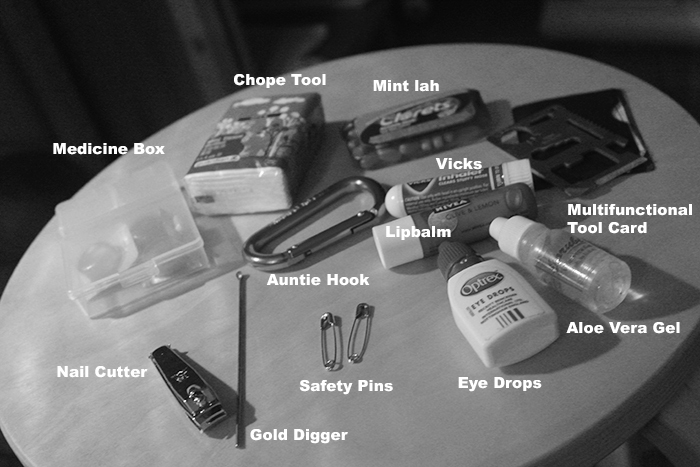 And these are my precioussssss (imitating Gollum) stuffs that you can find in my bag. This entry was posted in + Guest Post + by Tempted to Love. Bookmark the permalink.